Educational Qualification : Candidates must have passed 10th class examination or its equivalent with minimum 50% marks, in aggregate, from recognized Board and also possess National Trade Certificate in the notified trade issued by the National Council for Vocational Training. RCF Selection Process : Selection of the candidates will be on merit basis i.e on the basis of marks obtained in Matric & ITI Examination. Application Fee : Candidate have to pay Rs. 100/- through Bank Demand Draft/Indian Postal Order payable in favour of FA& CAO/RCF/Kapurthala. No fee is required to be paid by SC/ST/PWD/Women candidates. 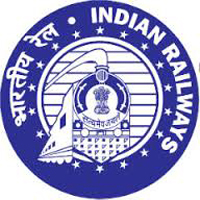 How to Apply Rail Coach Factory Vacancy : Interested candidates may apply Online through the website www.rcf.indianrailways.gov.in and send Bank Demand Draft/Indian Postal Order to the office of General Manager (P), Rail Coach Factory,Kapurthala -144602 on or before 21.09.2017.